Founded in 1986, the Genetics Center has always maintained a commitment to patient care and excellence in laboratory testing. With the unwavering support of our patients and referring physicians, Genetics Center has matured into a premier laboratory and clinical services provider. Genetics Center offers all manner of genetic counseling, consultations by medical geneticists, and overall comprehensive medical genetics services. Our laboratories have an extensive molecular and cytogenetic test menu that includes BRCA and a full cancer panel plus many other tests by next generation sequencing (NGS), microarray, single gene and known mutation testing, FISH analysis, various cytogenetic studies, and identity/paternity testing. Dr. Touran Zadeh is one of the founders and is the director of Genetics Center. She is also the director of genetics services and the director of the Cleft and Craniofacial Program at CHOC Children's. She is also the medical director of Genetics Center as a comprehensive Prenatal Diagnostic Center, laboratory director of its cytogenetics and molecular genetics laboratories, training director for its Clinical Cytogeneticist Scientist training program, and Chair of its Education Committee overseeing continuing education programs. Dr. Zadeh is board certified in clinical genetics, clinical cytogenetics and pediatrics. She completed fellowship training in clinical genetics and developmental disabilities, as well as clinical cytogenetics at UC Irvine. She completed her pediatric internship at Mercy Hospital Medical Center, and her pediatric residency at Cook County Hospital both in Chicago, Illinois. Dr. Zadeh received her medical training at Pahlavi School of Medicine, Iran. Dr. Zadeh has a strong interest in laboratory management and development, and also in chromosome abnormalities, molecular diagnostics, prenatal diagnosis and fetal anomalies, craniofacial disorders, dysmorphology and developmental disabilities. She has written numerous abstracts and journal articles, and is a fellow of the American College of Medical Genetics. 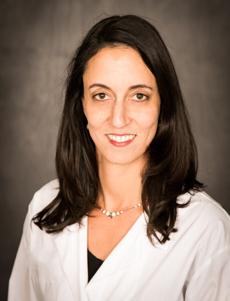 Dr. Neda Zadeh is the Associate Director of the Molecular Diagnostic Laboratory at Genetics Center and is a clinical geneticist in the division of Medical Genetics at CHOC Children’s. Dr. Zadeh is board certified in clinical genetics, clinical molecular genetics and in pediatrics. She is a fellow of the American College of Medical Genetics and Genomics (ABMGG) and of the American Academy of Pediatrics (AAP). Dr. Zadeh received her medical degree from UCLA School of Medicine and completed her internship and residency training in pediatrics at CHOC. She completed a fellowship in clinical genetics at Stanford University and a fellowship in clinical molecular genetics at UCLA. She specializes in the development and interpretation of molecular genetic testing. 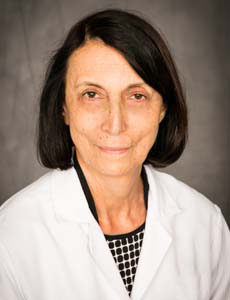 She is an expert in the diagnosis and management of genetic conditions, birth defects, and hereditary cancer syndromes. Dr. Zadeh has authored many abstracts, journal articles and book chapters. Genetics Center is CLIA certified by the U.S. Department of Health & Human Services, is licensed by the State of California Department of Public Health as a clinical laboratory, and is College of American Pathologists (CAP) accredited. We are also a Children’s Oncology Group (COG) approved laboratory. We have dynamic research and test development activities with appropriate IRB as needed. Compliance with all of these requirements and truly caring for our patients ensures superb quality. Genetics Center is CLIA certified by the U.S. Department of Health & Human Services, is licensed by the State of California Department of Public Health as a clinical laboratory, and is College of American Pathologists (CAP) accredited. We are also approved by the State of California Department of Public Health as a comprehensive prenatal diagnosis center (PDC) and contracted for California Prenatal Screening Program follow-up services which are reimbursed by the State. Genetics Center has two training programs that are approved by the California Department of Public Health Laboratory Field Services to train Clinical Genetic Molecular Biologist Scientists and Clinical Cytogeneticist Scientists for State licensure and is also accredited to provide Continuing Education acceptable for renewing those State licenses. We are also a Children’s Oncology Group (COG) approved laboratory. We have dynamic research and test development activities with appropriate IRB as needed. Compliance with all of these requirements and truly caring for our patients ensures superb quality. several physicians with board certifications in clinical genetics, molecular genetics, and cytogenetics, many licensed laboratory scientists (some with Ph.D.), licensed genetic counselors (with M.S. ), marketing and administrative group, information technology (IT) team, clinical coordinators, phlebotomists, and various scheduling and billing support staff.